Day 3 and we're still going strong! Thanks everyone for helping to keep the momentum going on Day 3! 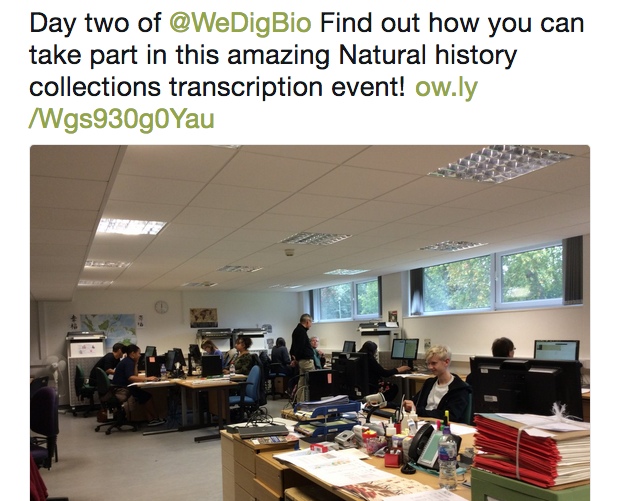 The WeDigBio Dashboard (that I shared the image of yesterday) is fully operational with all transcription platforms represented! Thanks Kevin Love for the long hours to get everyone on board! 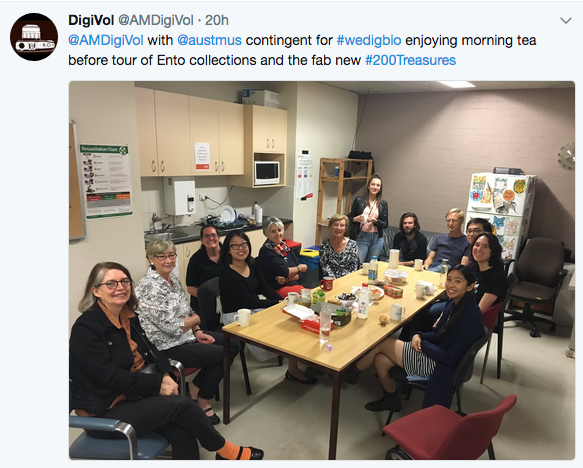 As I hinted at yesterday, Australia kicked off Day 3 of WeDigBio while folks in the US were winding up Day 2 -- always on the cutting edge, those Aussies! There was a wonderful smattering of activity around Europe and the US over the last day+ with events at Kew Gardens (below left top), The Field Museum (below left bottom), University of Minnesota Itasca Biological Station (below right top), Delaware Museum of Natural History, Indiana University, and University of Vermont's Pringle Herbarium. 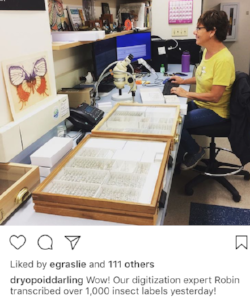 We also love seeing "behind-the-scenes" and it looks like the Delaware folks got a real treat (below bottom right)! 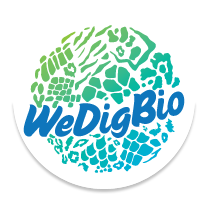 Tomorrow is Day 4, the last official day of WeDigBio 2017. We have a great lineup and are sure you can help us go out with a bang and lots of transcriptions! 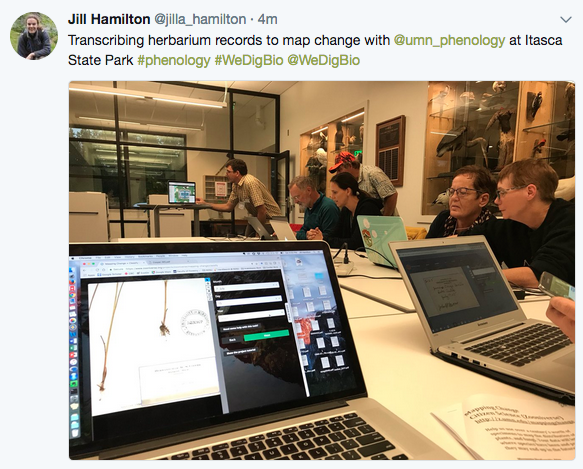 Join WeDigBio veterans New York Botanic Garden, the Smithsonian Institution, and the Field Museum, as well as newcomers Oregon State University, and University of Iowa Museum of Natural History. And we're very excited to have an event in a new country - Norway! 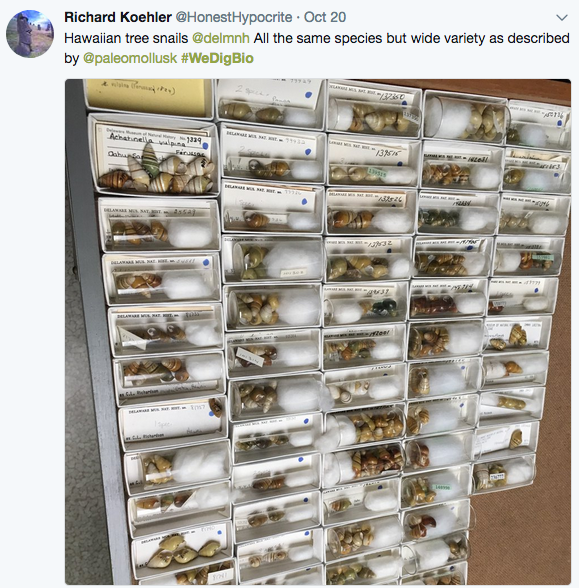 So, if you know Norwegian, pop on over to their WeDigFossils project and welcome them with some WeDigBio love! If you're participating online, look for links to join us on Sococo. Links to specific rooms will be tweeted before events start. Or, you can always start here in the Welcome room (in your Chrome browser), then 'knock' on the event door to come in and join the fun! See you tomorrow, WeDigBio family!